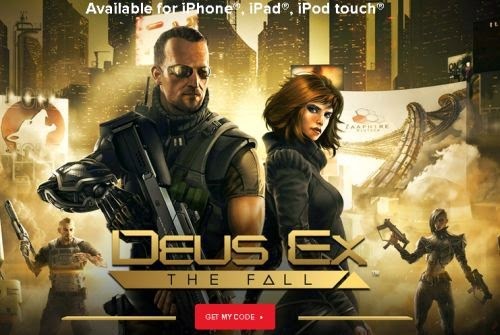 Free iOs Game Of The Month - Deus Ex: The Fall. Click the link below to go to the website to get the code for the free game. Once on the website click on the red, "Get My Code" button.